Have you ever hung out with chefs after hours? It’s always good times. Each session features four chefs in two pairs. Each pair creates brand new dishes only available at that session. Ultimate FOMO warning. Toronto’s mixologists are stirring up something delicious, and of course completely unique to Tastemaker Toronto. ‘cause what’s the fun if you can get it anywhere. Also, joining the party: You got your restaurants, artisans, musicians, and of course some fun surprises…hence this conveniently vague category. 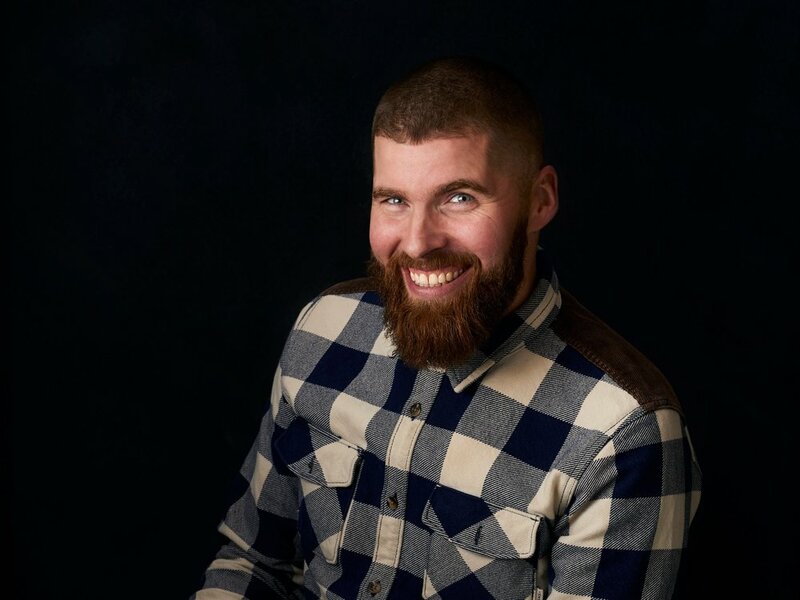 Chef Ryan Campbell started his career at the age of twelve washing dishes and cooking in local restaurants within his hometown of Ajax, Ontario. After graduating high school, Ryan moved to Alberta to learn a little about butchery at Fairmont's Chateau Lake Louis. After a year out West, Ryan returned home to work for a number of Canada’s highest regarded chefs in Toronto. He is best friends with a Tastemaker familiar face, Rob Gentile and in 2009 accepted a Sous Chef position and ultimately became Chef de Cuisine) to help open Buca Osteria & Enoteca. After having studied twenty-two years in the restaurant industry, Ryan felt it was time to open Il Covo, and our palats are quite happy he did. Chef Dustin Gallagher has always enjoyed cooking, working his way up the ladder in professional kitchens from the age of 13 (we all knew what we wanted to do at 13, right?) At the age of 22 he joined Chef Susur Lee's team at his internationally acclaimed restaurant, Susur, where he worked for six years, eventually becoming Sous Chef. He is a recipient of the Gourmet Food & Wine Expo's Nine of Dine Award as one of Toronto's best new chefs. Dustin is currently the Executive Chef of 416 Snack Bar, and loves every minute of it. Known for his signature smile and endless energy (seriously, check him out on our Instagram), Dustin prides himself on excelling in high-pressure situations. To decompress, Dustin spends his time building forts and baking cookies with his young daughter Ava, his wife and their dog Po. To sum up, he’s basically just out there living his best life. PEI Native Chef Charlotte Langley is often identified by her cabal as “Maritime Chic.” She cultivates the essence of the Maritimes in all the work she does. Her East Coast hospitality is absolutely magnetic, pulling farmers, clients, & restaurateurs alike across provinces to come knocking on her door. And if you ask Charlotte to tell you about herself she’d humbly reply that she loves to cook and laugh. But Langley’s biggest passion is sharing her favorite foods with as many mouths as possible. Upon tracking Charlotte’s experience, it is a certainty that the mouths are many, & more to come. Charlotte has over 10 years of practice as a chef & culinarian, and in that time has forged a reputation for herself as a creative multi tasker utterly dedicated to the art and craft of cooking. Since joining The Drake Hotel in 2014, Feswick, a P.E.I native, has brought her expertise in farm-to-table practices and focus on vegetable-forward dishes to infuse the hotel’s classic comfort foods with a healthful, seasonal twist. Her talent was recognized in 2014, when she was invited to compete at the prestigious Gold Medal Plates competition. The Tastemaker family is a big fan of Alexandra, and have watched her cook up a storm at our past Taste of Toronto and The Big Feastival events. 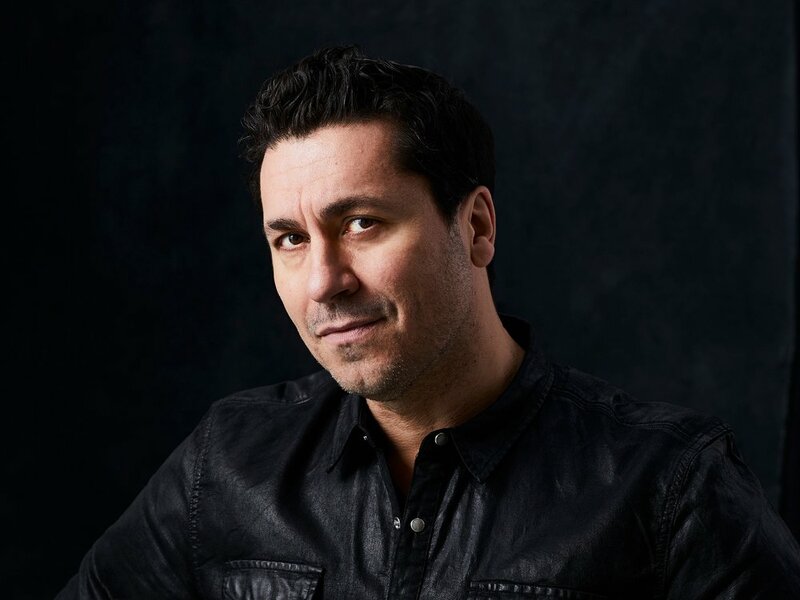 Claudio Aprile is one of Canada's most celebrated and visionary chefs, Aprile is the owner and creative force behind the growing Orderfire Restaurant Group. Throughout his 30+ year career, Aprile has passed through some of the most renowned kitchens around the globe. Bali Sugar in London earned him outstanding reviews as a young executive chef where he received local and international critical acclaim. If you’re obsessed with CTV’s MasterChef Canada like we are, naturally, watch out for Claudio appearing in Season 6 this spring. Chef Afrim Pristine is Canada's premier cheese expert and owner of the Cheese Boutique, with over 23 years of experience in the art of cheese making. He’s been titled the world’s youngest “Maitre Fromager” an honour awarded to him by the France based Guilde Internationale des Fromageres. Yes, Afrim is a Master of Cheese. Jealous? We are sure are. From studying with some of the world's greatest cheesemakers like Luigi Guffanti, Stefano Sarti, Carl Schilt, Jean-Paul Morin as well as hands on training from his father and world's most renowned dairy farms, Afrim's passion and commitment stems from his father and family business of 48 years, Cheese Boutique. Hunter by name and trade, Michael is an outdoorsman, forager and hunter. Born and raised on a Caledon horse farm, Hunter’s dream was to own a restaurant that would combine his love for food with his passion and respect for local ingredients. 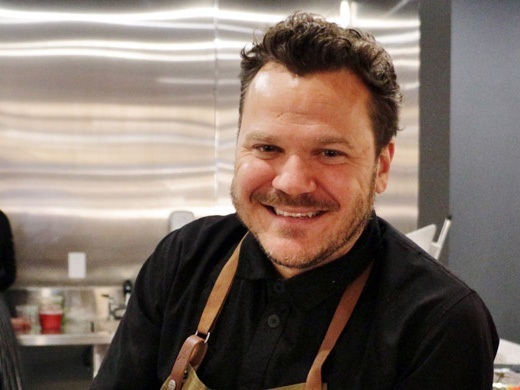 Formerly of Sassafraz, Luma, Scarpetta, and Reds Wine Tavern, he has used his experience in the outdoors to explore his culinary creativity, becoming chef and co-owner of Antler Kitchen and Bar. Antler is strongly rooted in regional food culture - pure, fresh, and seasonal. It embodies local flavour and spirit, offering contemporary dishes with an emphasis on wild food and farm-fresh ingredients that are always sourced locally. Cooking runs in Chef Rob Braganolo’s blood. Growing up, he would spend his summers in Italy with his mother's side of the family working in the family trattoria. That is where he first learnt what food is supposed to taste like and how you're supposed to treat ingredients. His knowledge professionally grew when he went to Spain and started working in a Michelin-starred restaurant there. His current restaurant Labora offers simple and rustic regional Spanish cuisine inspired by Chef Braganolo’s time in Spain. Since its opening, Labora has received several accolades including NOW Toronto’s Top 10 Toronto Restaurants of 2017, Toronto Life’s Best New Toronto Restaurants in 2018, Canada’s 100 Best Restaurants in 2018, and Blog TO’s Best Tapas in Toronto. Chef Brandon Olsen and his wife Sarah opened Restaurant La Banane (named Canada’s Best New Restaurant 2017), where reimagined French classic dishes are complemented by an extensive raw bar. He is also the owner of the award winning CXBO Chocolates. The CXBO Disco Egg, served in opulent style with a gold spoon, is the star of the after-dinner menu and has been frequently hailed in the media as the “most Instagrammable dessert of 2017. Originally from Burlington, the budding chef cut his teeth at various Toronto kitchens in his early 20s. He then moved to California’s Napa Valley in 2006 to work for Thomas Keller’s famed restaurants: the French Laundry (ranked the world’s best restaurant during Olsen’s stint) and Ad Hoc. His inspiration comes from his time spent learning the techniques and methodologies in Keller’s chocolate program. Chef Matt DeMille grew up in rural Ontario, surrounded by a bounty of locally grown food, before farm-to-table was cool. Inspired by his French Canadian roots and the comfort food that filled his childhood memories, he knew at an early age that the kitchen was his calling. His first culinary job was with the Oliver Bonacini Group and he credits that with increasing his awareness of local food and wine. Yearning for a simpler life, Matt made the move to Prince Edward County with his small family. 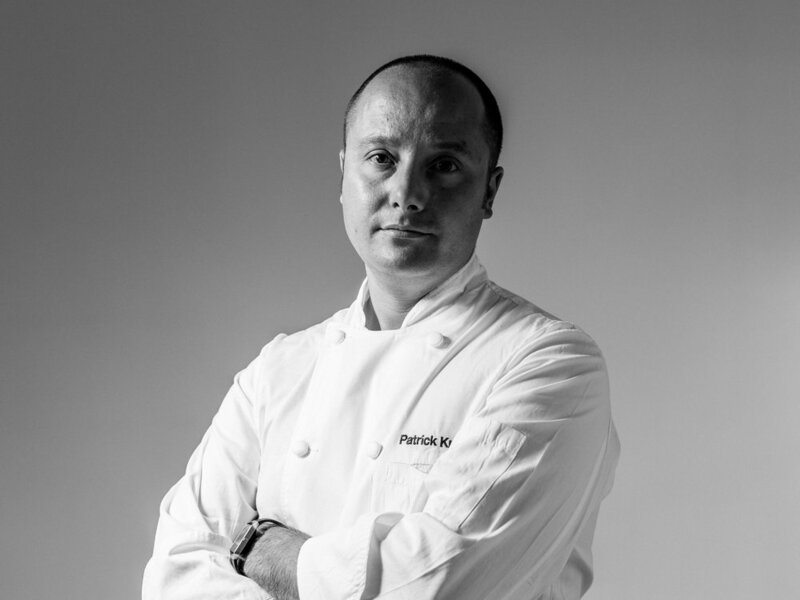 Having grown up in the region, he helped to put Wellington on the food map as chef at PEC restaurant Pomodoro. In the late summer of 2014 he opened the widely acclaimed Drake Devonshire Inn, snagging a spot on Canada’s Best Restaurants List, 2016. In 2017, he launched a small, in-house, interactive dining program that brings the best of PEC into your home, Eat W/ Matt Demille. We’re excited to have Matt enter our Tastemaker Toronto immersive kitchen and interact with guests as he’s so used to doing! Albert Ponzo is the Executive Chef for The Royal Hotel in Picton, Ontario, Canada. The highly anticipated historic Royal Hotel has been under re-construction and is opening in 2020. Albert brings over two decades of food knowledge and experience in sustainable farming and nose-to-tail eating. With a passion for working closely with nature, and sourcing ingredients ethically produced in a sustainable manner, Albert strives to prepare farm-driven food with the best seasonal local ingredients at their ripest time. As Executive Chef/Partner at the critically acclaimed DaiLo and Little DaiLo in Toronto, Nick Liu is renowned for his delicate handling of bold Asian flavours with traditional French techniques. As an authority on New Asian Cuisine, he is a TEDx speaker, TV personality (including Iron Chef Canada), and culinary pundit. Having worked at Michelin star restaurants and owning one of Canada’s top restaurants, Chef Liu has earned numerous awards and accolades for his contributions to the culinary world. Nick is an all around rockstar who will definitely be putting on a show in the Tastemaker Kitchen. Born in Hong Kong, raised in the Philippines, Daniel Cancino fell in love with the flavours of home cooked Filipino and Chinese cuisine from a young age. He got his first industry job as a dishwasher/prep cook at 15 before deciding to go to George Brown to attend their culinary program. Afterwards, Cancino proceeded to cook at several restaurants in Toronto before taking on the role as Executive Chef at Mineral. He most recently worked as Head Chef at Lamesa and Lasa for 3 years. Daniel’s interpretation of south east Asian cuisine references nostalgic flavours and aromas from growing up in the Philippines and Hong Kong, while using ingredients and techniques learned from cooking professionally in Toronto. He ties that all to creating unique interpretations of classic dishes. Chef Paula Navarrete was born and raised in Colombia and moved to Toronto in her early teens. Paula has been with Momofuku Toronto since opening in 2012, starting as a Sous Chef at Noodle Bar before moving to Daishō where she rose to Chef de Cuisine. Before Momofuku, Paula worked at North 44, Colborne Lane, and learned butchery at Sanagan’s Meat Locker. At Kōjin, the menu is inspired by Paula’s childhood spent around the grill in Colombia, her love of Ontario’s meat and produce, and what she has learned at Momofuku over the past 6 years. Raised in Kolkata’s Chinatown and schooled by nuns in Darjeeling, Chef Anna Chen previously cooked at Figo, Buca Yorkville and Scaramouche. Her and her husband William’s restaurant, Alma, is an amalgamation of her Hakka Chinese upbringing and her experience working in French and Italian kitchens and her knowledge of indian and thai cuisine. Fun fact: Alma means “kind and nourishing” in Latin. Chef Rob Rossi is passionate about food and creating the right atmosphere for people to enjoy it in. In 2017, he closed his five-year-old critically acclaimed restaurant, Bestellen, to achieve his dreams of opening the sleek, authentic Italian eatery, Giulietta in the spring of 2018. Rossi’s favourite part? The chef’s bar that offers seating right in the heart of the action. “Part of cooking is entertaining,” says the chef. This new recipe worked— just months after opening, Giulietta was ranked number five in En Route Magazine’s Canada’s Best New Restaurants list. Working in a kitchen since the age of 13, Calgary-born and Vancouver raised Chef Carl Heinrich has perfected his knack for cooking gourmet comfort food with the best quality ingredients. Carl’s many experiences staging in France and Monaco, working with talented chefs, and running respected restaurants helped him to win the title of the Food Network’s Top Chef Canada in 2012. 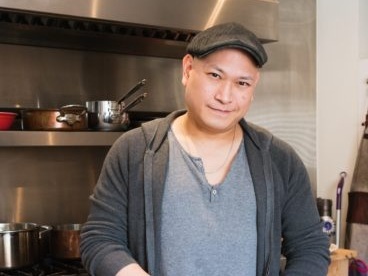 His current restaurant, Richmond Station is recognized as number one on TripAdvisor in Toronto, and being nominated for best new restaurant in the country in enRoute. Fun fact about Carl, he makes food he knows his mom would like to eat! Chef Elia Herrera, born in Cordoba, Veracruz-Mexico, was exposed to the fascinating world of cookery from a very young age due to her mother and grandmother’s influence Elia has followed her roots and has brought the tradition of authentic Mexican cuisine to Canada when she moved here in 2003. Taking bits and pieces from her training abroad, having perfected her craft in countries like Spain, France, Belgium, Italy and Canada, Elia puts a little bit of herself in every dish she creates. She puts her passion and dedication into every dish she makes, and you’ll be sure to taste it! Chef Alida Solomon is one of only a few women chef/owners in Canada. Alida lived and worked in Montalcino, Tuscany, for 6 years, and was highly respected in the regional hospitality industry where she garnered acclaim for the hilltop restaurant In April 2016, Chef Solomon was awarded a “Fellow of the Institute” at the 2016 Ontario Hostelry Institute’s Gold Awards Boccon di Vino, for whom she earned Michelin recognition. Tutti Matti has been hailed by critics and received both local and national awards, including the prestigious 2009 “L’Eccio D’Oro” for Osteria of the Year (an award previously won by Mario Batali and Alain Ducasse). Brand new for 2019. All the ingenuity of the Kitchen, but you can drink the delicious. Instead of chefs mashing it up to produce never before seen dishes, the Tastemaker Bar is the city’s ultimate drinks cabinet. Toronto’s mixologists putting local twists on all your favourite libations. All your drinks, all included in your ticket, all session long. Be first in the know. Get exclusive offers. Receive insider content. Tastemaker Toronto is a culinary house party for the foodie, experience seeker, and everyone in between. We’ve handed the keys over to the best chefs, restaurants, and producers to host the ultimate party in the Tastemaker house. The all-inclusive tickets lets guests truly feel apart of the party. We have created an intimate experience with a few surprises along the way! Where is Tastemaker Toronto held? Tastemaker Toronto will be held at Evergreen Brick works between May 10-12, 2019. How do I get to the venue by car? Is there parking at Evergreen Brick Works? There will be very limited parking available at Evergreen Brick Works, therefore we highly recommend using another mode of transportation. For guests who do bring a car please ensure you have a designated driver. How do I get to Tastemaker Toronto by transit? What are the event opening times? Tastemaker Toronto sessions are divided into daytime and evening. Tickets to Tastemaker Toronto at Evergreen Brick Works are available on our website’s ticket page. On this page you’ll be able to see the prices for each session. Ticket’s will be available to purchase at the door but we recommend buying your tickets ahead of time to avoid sold out sessions. Leave your money at home! We offer an all-inclusive experience so you can enjoy the party. Let us take care of everything. What is the mininum age for entry? This is a 19+ event. All attendees must have a valid form of government ID to enter the event . All sales for this event are final. No refunds will be granted after a purchase has been processed. Of course! Your wrist holds the band of power. Leave and come back to your session as much as your heart desires. Who are the organisers of Tastemaker Tour? IMG Events is the company behind Tastemaker Tour. They the masterminds behind Taste Toronto that took place a few years ago and have revamped the entire concept to bring you the ultimate house party that is Tastemaker Tour. They are a part of Taste Festivals Ltd (an IMG company). Taste Festivals Ltd runs Taste events across the globe. There will be photographers and videographers on site. We reserve the right to capture media in and outside the event grounds. Can I attend any session with my ticket? Unfortunately, the ticket purchased is only good for the session you choose. Will I have fun the event?